The Neighbourhood / How Şarkı Sözü. when you question God himself? if you wouldn't take the help? If you're gone, then how is any of this real? When they chew me up, spit me out, pissed on me? When they laughed at me, every day, in my face? How could you tell me that I'm great? How could you tell me that it's fate? 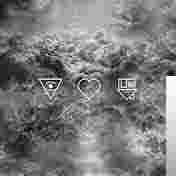 The Neighbourhood / How Yorumları. 4. The Neighbourhood - W.D.Y.W.F.M. ?